Editor's Note: Arizona State University baseball will take on the University of California, Berkeley, in three games March 23 - 25 in Tempe. Women’s softball will play Arizona March 23-25 in Tempe, and Berkeley in three games May 10-12 in Berkeley, Calif. Read more about ASU's collaborations with Pac-12 schools. ASU’s master’s program in public affairs ranked 16th overall, up from No. 25 the last time the program was ranked by U.S. News. Other Pac-12 schools that made the top 25 are the University of California at Berkeley and the University of Southern California, tied for 6th; the University of Washington, 9th; and the University of California at Los Angeles, 23rd. The School of Public Affairs is in the ASU College of Public Programs. The rankings, based on surveys conducted in fall 2011, are based on responses of deans, directors and department chairs representing 266 master's of public affairs and administration programs, two per school. Respondents were asked to rate the academic quality of master's programs. 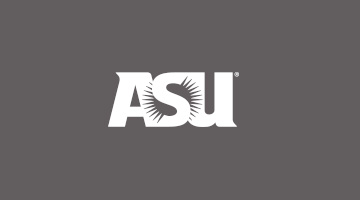 Among specialty public affairs programs, ASU’s city management and urban policy program ranks second; its environmental policy and management ranks 10th; its nonprofit management program ranks 15th; its public finance and budgeting program ranks 16th; and its public management administration program ranks 19th. The specialty rankings are based on ratings by educators at peer schools. Public affairs school deans and other academics were asked to nominate up to 10 programs for excellence in each specialty. Earning an M.P.A. can lead to a career in public service, both domestically and abroad.